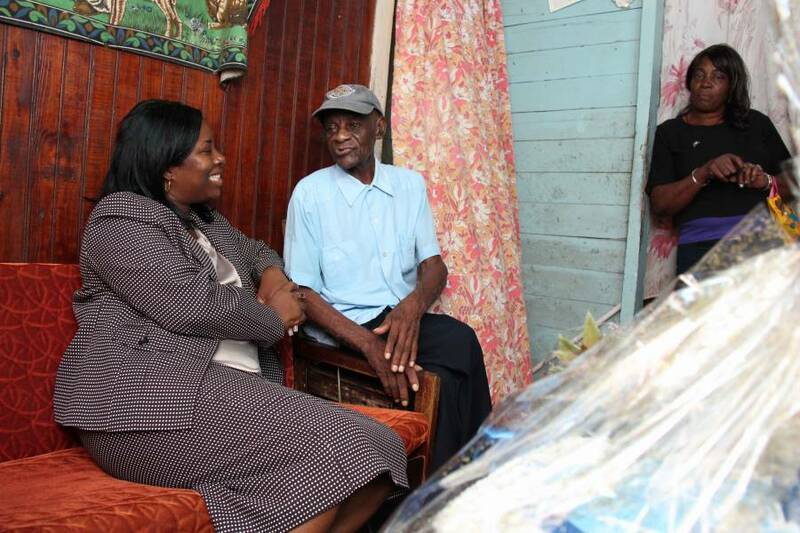 St Andrew’s resident, Wilfred McMeo, on Tuesday celebrated his 100th birthday in the company of family, friends, neighbours, well-wishers and Youth, Sports and Religious Affairs Minister, Hon Emmalin Pierre. In his remarks, McMeo thanked God for strengthening and keeping him. He also thanked Mrs Pierre for supporting him, not just at the party but also on a daily basis.